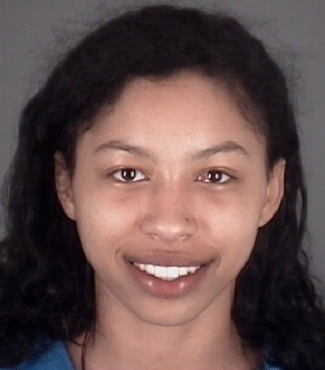 APRIL 12--From the moment a Florida Highway Patrol officer contacted three naked women “air drying” themselves Wednesday morning near an Interstate 75 rest stop, suspect Jeniyah McLeod distinguished herself as a petulant jackass. McLeod and her companions--her sister Oasis, 18, and Cecilia Young, 19--then jumped into a Nissan Sentra and sped away, nearly striking a pedestrian. With Oasis driving, the women led cops on a high-speed chase that ended in a crash and their arrest on numerous criminal charges. After getting tased as she struggled with officers trying to pull her from the Nissan, McLeod was handcuffed and placed in the back of a police cruiser outfitted with video cameras.